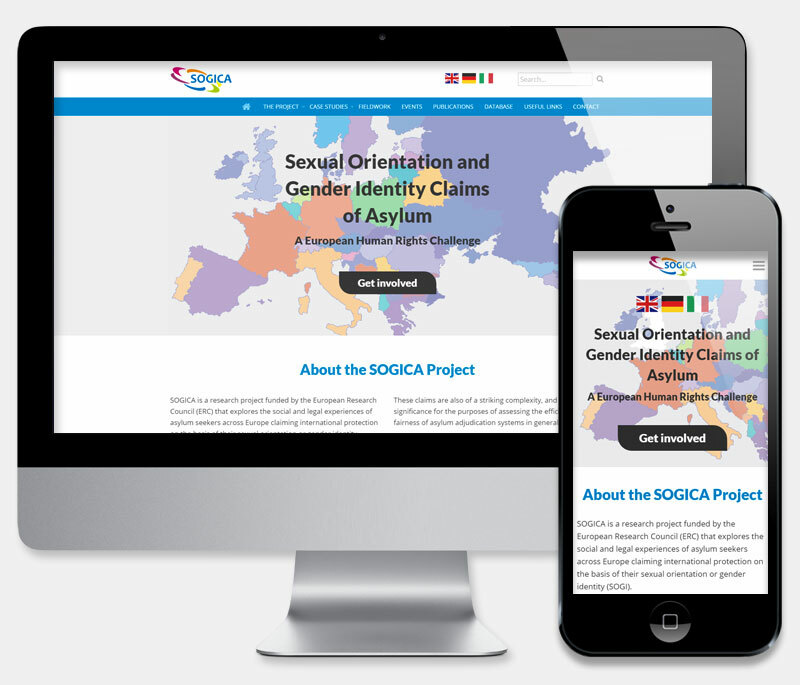 SOGICA is a research project funded by the European Research Council (ERC) that explores the social and legal experiences of asylum seekers across Europe claiming international protection on the basis of their sexual orientation or gender identity (SOGI). SOGICA approached us to create an all new website for their organisation. Their requirements included a searchable database of legal cases, research and resources, a case studies section and a fresh branding excercise and Logo design. All page content needed to be uploadable in multiple languages rather than a live translate service, to ensure accurate legal translation. The first phase of development with SOGICA involved gaining a throrough understanding of their branding and database requirements. Once these were ascertained we were able to produce a thorough set of 'mobile first' designs. Particular attention was given to providing specific database search fields and ensuring that all designs were sympathetic to the nature of the organisation and their links to the University of Sussex. As always, the site was thoroughly tested prior to launch and training was provided, ensuring that our clients are able to maintain their new site in future. Security updates and technical support are taken care of with our competitive hosting package. The Website Development team did a very good job with our website. We were very happy with the website, both technically and aesthetically. All team members were very helpful and polite, and they responded promptly to all our requests. We highly recommend this team!